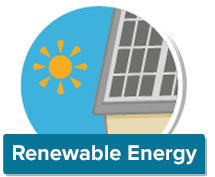 Happy Energy Solutions Ltd currently only undertakes renewable energy works where the customer is eligible for one of our energy supplier grants. Currently these are only available on ground source heat pumps, for eligible customers. As part of the works, the ground source heat pump will be eligible for the Government’s Renewable Heat Incentive, which offer payments for 7 years. 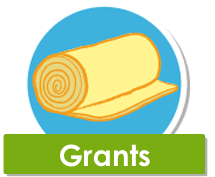 As part of the works, we may be able to take these payments to help offset the cost of the installation upgrade, typically in larger detached houses, or you can make a contribution and receive the payments directly. Am I eligible for ground source heat pump grant? Sorry but the grants are not available for social housing. I am not on benefit but I am on a low income or suffer from an illness, am I eligible? In some local authority areas it is possible for you to be eligible for the heating grant if you are on a low income and have high heating costs, for example you live in a large home with solid walls, or if you are on a low income and someone in your home suffers from a long term illness which can in some cases include mental health issues. Currently most of the southwest is covered by this scheme, but local authorities around Britain are also signing up. If you believe you may fit these criteria please get in touch, we will need to ask you a series of questions and find out which local authority your home comes under. We will then confirm if we are able to assist you with a heating grant. You can also click here to see a list of local authorities who are known to be taking part in the scheme. Are park homes and caravans covered by these heating grants? Yes! 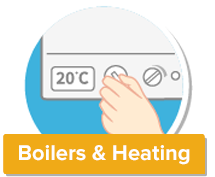 Park homes and caravans are eligible for heating upgrades subject to the person living in the home being eligible as above. If the person living in the park home is in benefits their benefits will need to be registered at the address of the park home. If the benefits are not registered at the park home, we may still be able to help but we will need evidence that the person on benefit lives in the park home such as letters from a bank, council tax bills etc. Click Here to Apply by Email Now! Depending on the size of your home, our ground source heat pump grants may mean that we can offer you a boiler free of charge, but in some cases, mainly in very small homes, the grants are smaller and a larger contribution may be required, but we will confirm this with a free survey. Roughly what will the combination of the RHI payments and the grant cover? 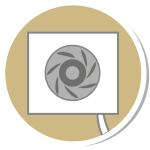 If our ground source heat pump grants do not cover all of the cost of the works, you can either pay the difference, consider a finance package which we can facilitate (subject to credit status) or if your property is rented, you may be able to ask your landlord to contribute as it is their property that is benefiting from the upgrade. 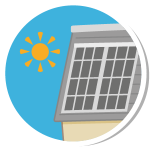 Solar PV or Solar Thermal panels on your roof will produce solar electricity or solar hot water for your home. 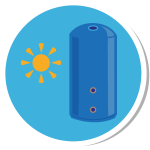 Air source heat pumps take air from outside to generate heat which can be used to heat radiators or underfloor heating. Biomass boilers use pellets as fuel and can save you up to 30% on your heating and hot water bills. Ground source heat pumps take air from ground to generate heat which can be used to heat radiators or underfloor heating.